I wasn't surprised. Telling stories is what made me famous. Fifteen bestsellers. Millions of fans. Fame and fortune. Now, I have one last story to write. It'll be my best one yet, with a jaw-dropping twist that will leave them stunned and gasping for breath. *Request approved via Netgalley in exchange for an honest review. I've wanted to read something by Alessandra Torre for a long time because I've heard great things about her writing. When I saw The Ghostwriter on Goodreads, I decided to check if it was available on NetGalley and low and behold, it was. So, of course, I requested it, and I'm happy to say that I ended up really liking this story a lot. 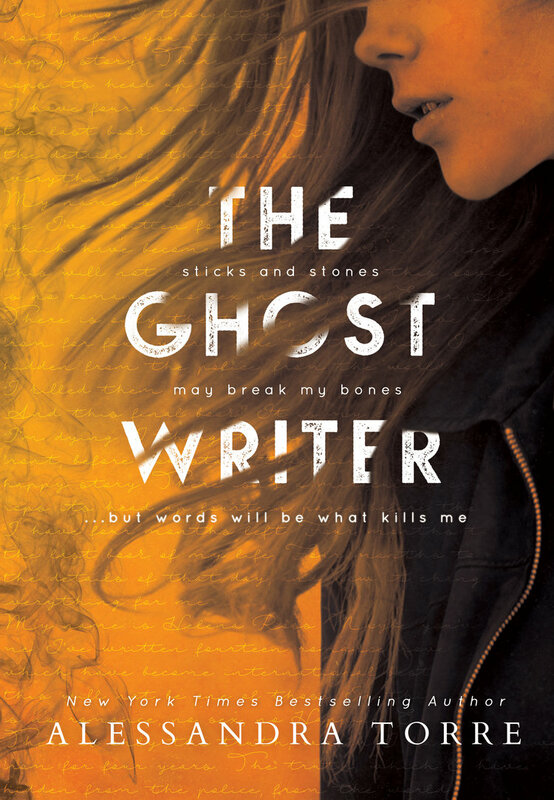 The Ghostwriter is certainly a dark read. Even if the blurb kind of set you up for it, right off the bat you can tell something is up with the main character from the opening chapter. Her personality just isn't likable or as sweet and fluffy as many female characters. She's harsh and sugarcoats nothing, and didn't even change after learning terrible news. And you know what? I liked her. There are things about Helena that I relate to, not the mean parts lol, but just the fact that she's an author and often wants to just have some peace to write. I knew there was something in her past or the way she grew up that made her this way, and I feel like my questions were answered throughout the story and more so toward the end. As for the premise and what Helena had lied about four years ago, I had kind of figured things out from early, but I never expected that part about her husband and wouldn't have guessed her involvement where her daughter is concerned. When all was revealed by the end, I actually cried for Helena. In fact, I think that was the only time I felt sympathetic toward her character. For most of the story, I would cringe or chuckle at her attitude or the things she'd say to the two people who truly cared for her. But when she finished her book, the truth gripped me so much that I connected with her on an emotional level and could understand what she was going through. It's hard to get my thoughts together to write a better review. All I can is that The Ghostwriter really is suspenseful in nature because you know Helena did something and lied about it, but you also want to know about her life leading up to that. The overall atmosphere is just gloomy and troubled, like Helena's character. And while I'm sad for her and with the way things ended, I found her to be quite strong to have swallowed her pride to an extent and ask a writer she doesn't get along with to help her write a story of that magnitude. Not only that but what she did afterward for certain people affected was kind on her part. With the way she was you never would have expected her to do that but in my opinion, deep inside Helena is a good person, just troubled. To conclude, wonderful writing and interesting plot. It made me put myself in the story and see things through Helena's eyes. I'm happy that I've finally given Alessandra Torre a read and am looking forward to picking up her other books. I enjoyed a book by this author there but I haven't tried more. I really should. I have heard so many great things about this book! It sounds like such a good read and I am thrilled to see that you enjoyed it as well. I will be adding this one to my tbr.